Time Barred Debt - Find Out How To Stop Debt Collectors, Cold! Debt Collection Agencies Are Now Purchasing Old Debts! Learn When Your Debts, Become Time-Barred Debts? Time barred debt guide to dealing with debt collectors. Debt collection agencies are now purchasing old debts that are past the debt statute of limitations. Find out how to stop debt collectors, of time-barred debts Cold! State law varies as to when a creditor or collector may no longer sue to collect time-barred debts: in most states, the statute of limitations period on debts is between 3 and 10 years; in some states, the period is may be longer. Certain businesses have purchased old time debts which are no longer legally collectible because they are past the debt collection statute of limitations. A new practice has arisen in the collection industry. Lots of old, charged-off debts are being packaged and sold to other financial entities for as little as 10 cents or less for every dollar. If you are approached to pay a barred debt, you can refuse to pay. There’s no doubt about it: you are responsible for your debts. If you fall behind in paying your creditors or if you dispute the legitimacy of a time debt, a collector may contact you. Time barred debts are so old they are beyond the point at which a creditor or collector may sue you to collect. state debt collections law varies as to when a creditor or collector may no longer sue to collect: in most states, the statute of limitations period is between 3 and 10 years; in some states, the period is longer, This time period may have already run out on your old accounts. Federal law imposes limitations on how collectors can collect. Under the Fair Debt Collection Practices Act (FDCPA), a collector generally is any person or organization that regularly collects debts owed to others. The term includes lawyers who collect debts for others on a regular basis, but it does not include creditors collecting their own debts. The FDCPA prohibits collectors from engaging in any unfair, deceptive, or abusive practices while collecting debts. It does not erase any legitimate bills that you owe. Collecting Time Barred Debt or Time-Barred Debts Stop The calls, Today! Most courts that have addressed the issue have ruled that the FDCPA does not prohibit collectors from trying to collect time debt, as long as they do not sue or threaten to sue you. If a collector sues you to collect barred debts, you can have the suit dismissed by letting the court or judge know the debts are, indeed, a time barred. Whether a time barred debt or any debts for that matter can appear on your credit report depends on how long the it has been delinquent: accounts that have been delinquent more than seven years cannot appear on your credit report, with certain exceptions. In addition, a collector may not try to collect a time-barred debt that has been discharged in bankruptcy, no matter when it was incurred. Can a collector continue to contact you about a time debt you don’t think you owe? According to the law, if you send the collector a letter stating that you do not owe some or all of the money within 30 days after you receive written notice, the collector must stop trying to collect until you’ve been given written verification, like a copy of the bill for the amount you supposedly owe. The collector can renew collection activities once you’ve gotten proof. Even if the collection tactics are legal be careful before repaying even the smallest amount on old debts. It may restart the statute of limitations all over. 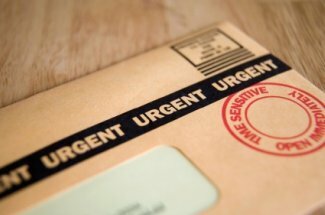 You can stop debt collectors from contacting you about any debts, regardless of whether you owe it, by writing a letter telling them to stop contacting you. Once the collector gets your letter, it may not contact you again except to say there will be no further contact or to let you know that the collector or creditor intends to take some specific action. Sending a letter doesn’t absolve you if you actually owe it; the collector or creditor still could sue you. Future Collection Efforts on Time Barred Debt Or Time-barred Debts! The best way to protect yourself from future collection on any disputed or partially settled time barred debt is to get a form or letter from the creditor or collector that releases you from further obligation. To make sure the release is valid, you may want to consult an attorney. If you believe that a collector violated the law, you have the right to sue in a state or federal court within a year from the date the law was violated. If you win, you may recover money for the damages you suffered, plus an additional amount up to $1,000. You also may recover court costs and attorney’s fees. You also may want to report any problems you have with a collector to your State Attorney General and to the Federal Trade Commission. It's illegal for a collector to threaten to sue on a time barred debt or to actually sue on it. Check your State Attorney General’s Office to determine when debts are considered to be a time barred debt in your state. The most important thing you can do to take control of your debts and get your future back on track is to do something. Take action. Starting Today, you will have the debt elimination knowledge and power in your hands to easily change your life financially! Debt Elimination NOW! Just imagine what you will feel like, when you wake up one morning and absolutely know that all of your debts have been eliminated. Return from Time Barred Debt to Bankruptcy Facts!